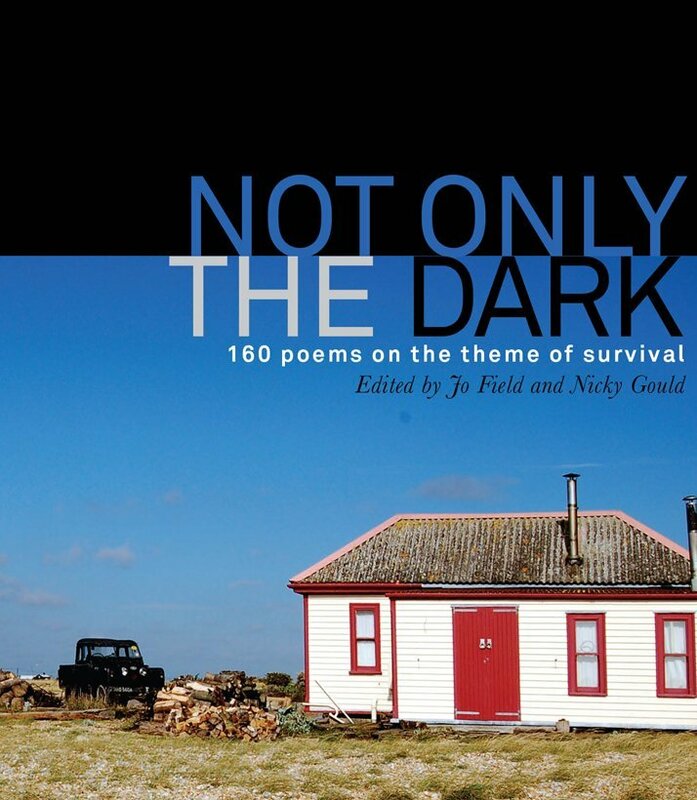 Not Only The Dark is our latest anthology of poetry, 160 poems on the theme of survival in aid of Shelterbox. It is due to be launched on 6 December - click here for info on the launch event. This new and vibrant anthology explores the theme of survival, with poems about war, weather, growing ill and growing old as well as about cities and landscapes, art and music, trees and turtles and the many things that add richness to our lives. 'These diverse, passionate poems celebrate our shared humanity, fragility and strength. They offer shelter to anyone who feels left out in the cold' CATHERINE SMITH, author of Lip. 'Here is a volume of poetry which asks the questions it shouldn't, exploring the small and big things we need to do to survive in a world crying out against the push to reduce us to the bare minimum' JOHN SIDDIQUE, author of Full Blood. To order a copy of Not Only The Dark please click here to order online or send a cheque for £12 (includes £2 p&p), made out to our publisher Categorical Books, to 70 Margate Road, Herne Bay, Kent CT6 7BH. You can also order 3 copies at the special price of £27 (includes £2 p&p). Please allow 2 weeks for delivery. 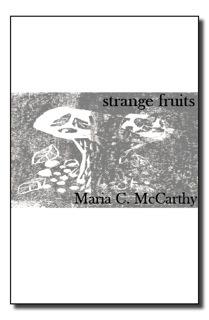 strange fruits is a poetry collection by Kent writer, Maria McCarthy. All profits from the sale of strange fruits go to Macmillan Cancer Support, Registered Charity Number 261017. strange fruits is available from culturedllama.co.uk or by sending your name, address and a cheque for £9 (inc p&p) or £15 for two copies (p&p free) to Maria McCarthy, 11 London Road, Teynham, Sittingbourne, ME9 9QW. More funds go to Macmillan Cancer Support if purchased direct from Cultured Llama. 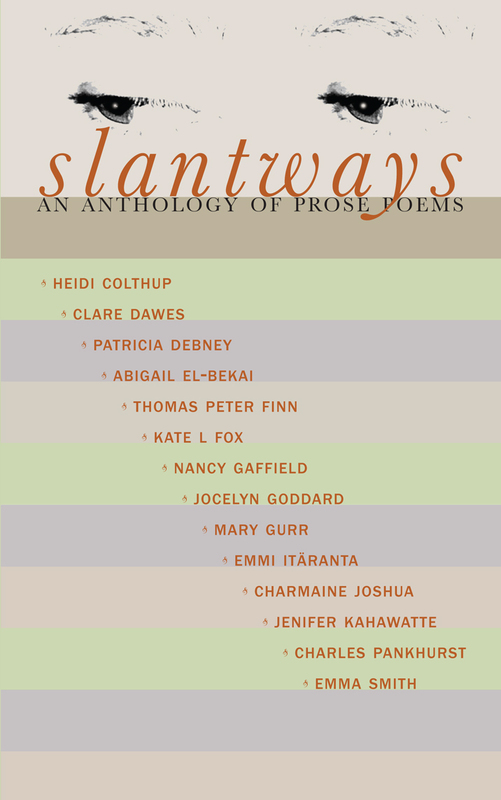 slantways collects prose poems crafted by MA students of ‘doyenne’ of the genre Patricia Debney, many of whom are published and award-winning writers in their own right. Like the best examples of the form, this work probes beneath the surface, ignoring the obvious to illuminate the unexpected, reflecting and refracting the world as we know it, looking with attention but always slantways. All profits from the sale of slantways will be donated to the JDRF (the Juvenile Diabetes Research Foundation, Registered Charity Number 295716), a charity that works to prevent, treat and cure type 1 diabetes. To order a copy of slantways, please click here to order online or send a cheque for £9 per copy (including £1 postage & packing) to Slantways at Yew Tree Cottage, Church Street, Nonington, Dover CT15 4LD. Please allow 2 weeks for delivery. 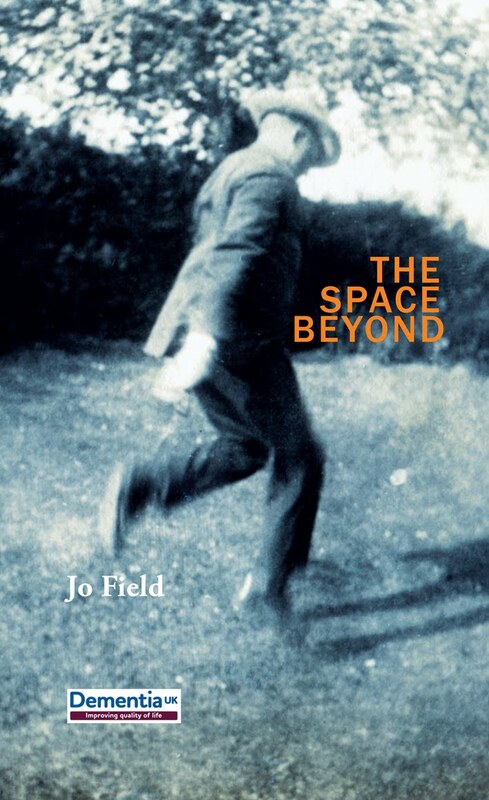 Jo Field’s The Space Beyond charts the territory of old age with extraordinary insight. Combining empathy, honesty and humour, her poems track the cultural differences we notice as we cross its borders and illuminate the often terrifying landscapes of its interior. The Space Beyond also examines the power and properties of memory, and the special relationship with the past that we develop as we grow older. All profits from the sale of the book go to Dementia UK, a charity that works to improve the quality of life for all people affected by dementia. 'Exploring a wide variety of forms and moods, ranging from anger and melancholy to wry humour and sensuality, Jo Field traverses the memories, sorrows, losses, fears and consolations of ageing with intelligence and sensitivity.' Jan Montefiore, author of 'Feminism and Poetry'. To order a copy of The Space Beyond, please click here to order online or send a cheque for £7 (includes £1 p&p) to Jo Field at 23A The Beach, Walmer, Deal, Kent CT14 7HJ. You can also order two copies at the special price of £12 (includes £2 p&p). Please allow 2 weeks for delivery. To order a copy of Did I Tell You? please click here to order online or send a cheque for £12 (includes £2 p&p), made out to our publisher Categorical Books, to 70 Margate Road, Herne Bay, Kent CT6 7BH. You can also order 3 copies at the special price of £27 (includes £2 p&p). Please allow 2 weeks for delivery. WordAid is a collective of published poets working together to raise funds for charity. 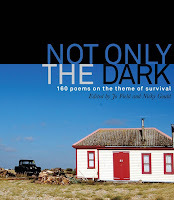 Our latest project is Not Only The Dark, an anthology of poetry on the theme of survival in aid of Shelterbox. slantways, a collection of prose poetry in aid of the Juvenile Diabetes Research Foundation - a charity that works to prevent, treat and cure type 1 diabetes. Did I Tell You? 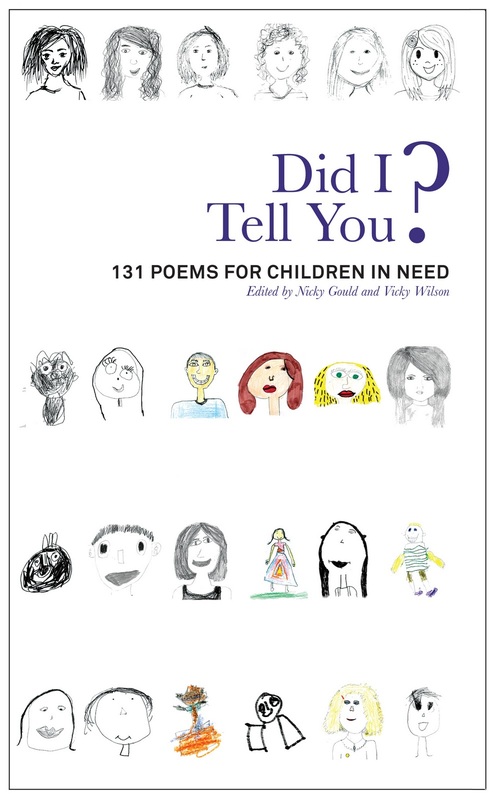 an anthology of 131 poems in aid of The BBC Children in Need Appeal.To buy a copy of any of these books please visit our publications page. all commission raised will be donated to our charities.